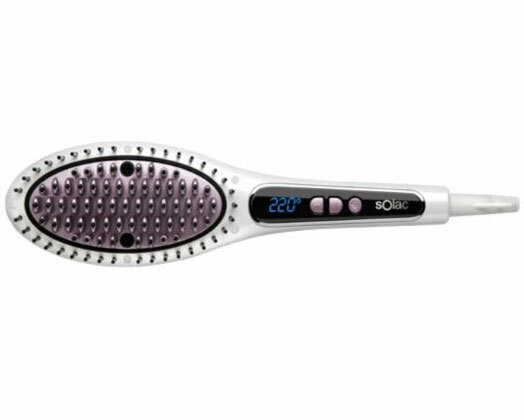 Home Products Solac Hot Brush With Ceramic Coating Adjustable Temperature Purple 53W "Ionic Expert Brush"
Solac Hot Brush With Ceramic Coating Adjustable Temperature Purple 53W "Ionic Expert Brush"
Solac presents the Ionic Expert. Comb and smooth at the same time. Easy, fast and frizz-free. Use it every morning to untangle your hair while you straighten it. With an ergonimic and lightweight design the Ionic Expert is a must-have for every woman.